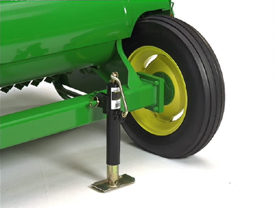 The cutting height can be adjusted to obtain a minimum of 6.4 cm (2.5 in.) 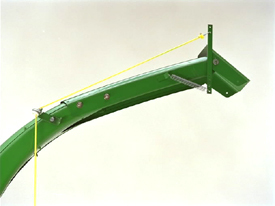 or a maximum of 18.4 cm (7.25 in.) 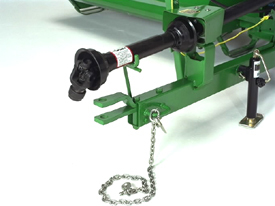 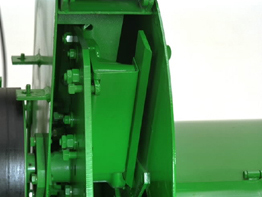 with a lever or an optional hydraulic cylinder. 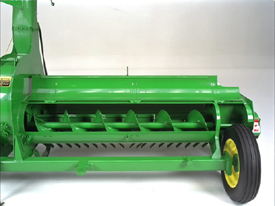 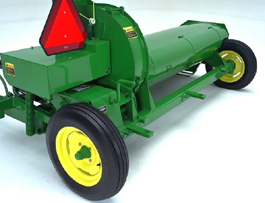 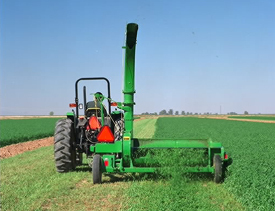 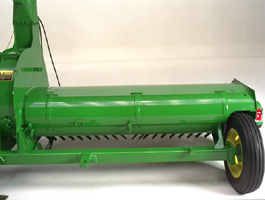 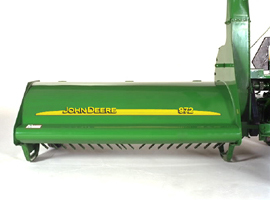 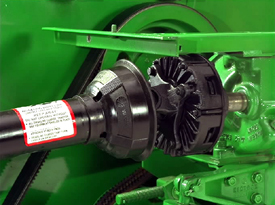 Overrunning the clutch, integral with the slip clutch, releases the rotating parts, disconnecting the tractor power take-off (PTO). 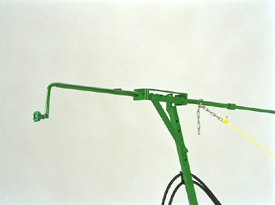 For longer life, the hood is 40 percent thicker than the hood used on the discontinued 16A Flail Chopper.